In less than a week over a hundred wine bloggers will descend on Santa Barbara County for the annual Wine Bloggers Conference. 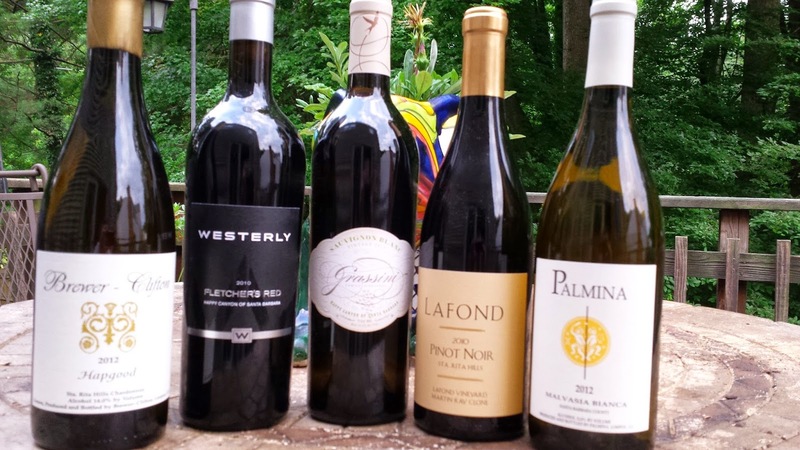 For a preview, the Santa Barbara County Vintners' Association, assisted by @awanderingwino, sent several wines to bloggers for a weekly #winechat and briefed us on the region. Or regions since the county encompasses five AVAs: Happy Canyon, Santa Maria Valley, Santa Ynez Valley, Ballard Canyon and Sta. Rita Hill. Within these AVAs there are more than 200 wineries and 20,000 acres of vineyards. Plus there are over 60 grape varieties grown and as someone tweeted: "Santa Barbara County is like a journey through Europe: Burgundy, Bordeaux, Rhone, w/ a sprinkling of Italy. But w/ a CA coolness". And the wines sampled during our #winechat reflected this diversity: Brewer-Clifton Winery 2012 Hapgood Chardonnay ($60); Grassini Family Vineyards - 2013 Estate Happy Canyon Sauvignon Blanc ($28); Palmina 2012 Santa Barbara County Malvasia Bianca ($20); Lafond Winery 2011 SRH Pinot Noir ($27); and Westerly Vineyards 2010 Fletcher's Red ($75). Brewer-Clifton Winery is a partnership between Steve Clifton and Greg Brewer and is located in the Sta. Rita Hills. This AVA (is located at the western end of the Santa Ynez Valley) is known for its foggy evenings and mornings which assist in the production of chardonnay and pinot noir. Their 2012 Hapgood Chardonnay is all honeysuckle slowly fading to pineapple and a long acidic finish. Beyond my budget, but great to savor for this evening. soft grapefruit aroma, a lemon creamsicle texture, finishing long and soft. Quite nice. When I said Santa Barbara is diverse, I meant it particularly when sampling the Palmina 2012 Santa Barbara County Malvasia Bianca. 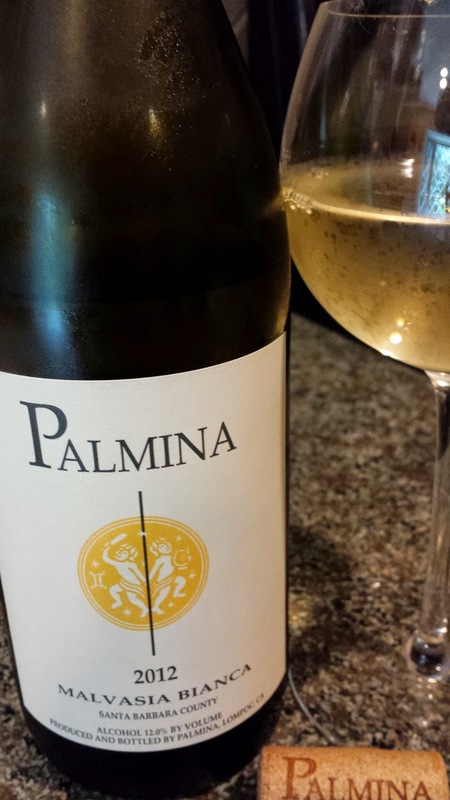 Not too many wineries produce wine from this Italian grape - neither in Santa Barbara or the U.S. A popular descriptor was night jasmine and one I concurred with was star fruit, plus some citrus and salty minerality. On top of it's excellent flavor and acidity, I'm drawn to its low alcohol (12.5%) and price ($20). Cheers to that. Returning to the cooler Sta. Rita Hills, we sample the Lafond Winery 2011 SRH Pinot Noir which is made from the Martin Ray clone (need to look that one up). This winery is part of the Santa Barbara Winery family, which was the first post-prohibition winery in Santa Barbara - opening in 1961. Lafond opened eighteen years ago in 1996. Their 2011 SRH Pinot Noir is delicious, what I referred to as a cherry cayenne chocolate bar with silky texture. A tiny bit of heat is present at 14.7% abv but balanced and priced nicely at $27. 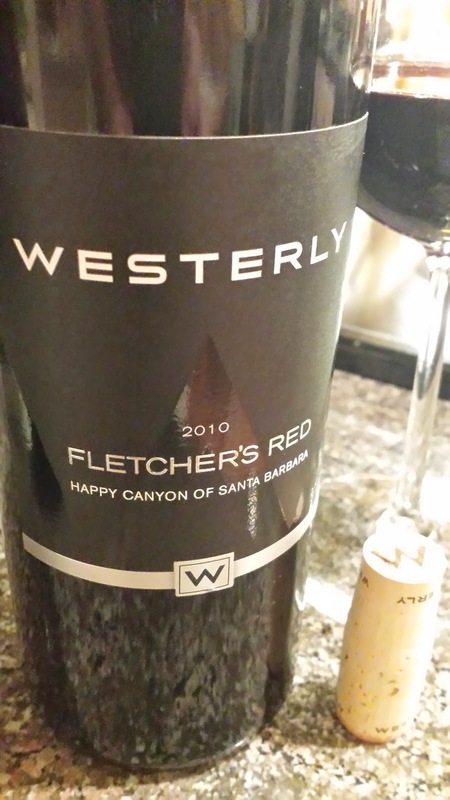 We finished with the big red, precisely the Westerly Vineyards 2010 Fletcher's Red ($75). This is a Bordeaux blend of 50% Cabernet Sauvignon, 23% Merlot, 23% Petit Verdot, 4% Cabernet Franc from Happy Valley. 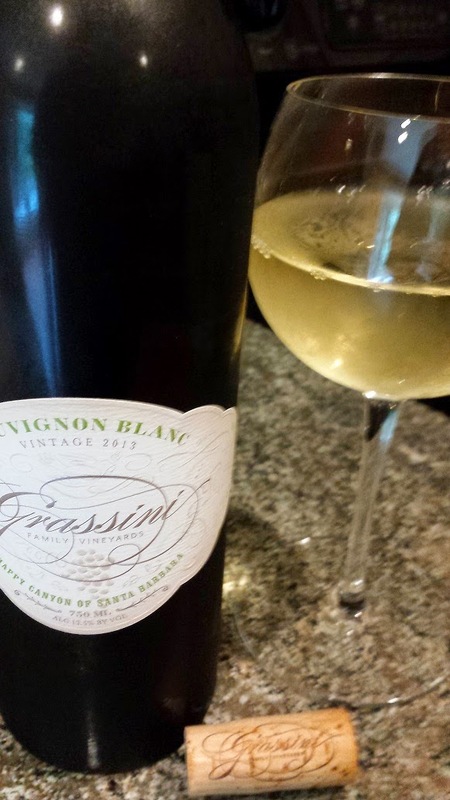 Even with the hefty price tag, this wine is worth every penny. Dark berries - blackberries; chocolate; spices - cinnamon; silky texture, smooth tannins. Drink now or cellar. I hope to drink now, soon. 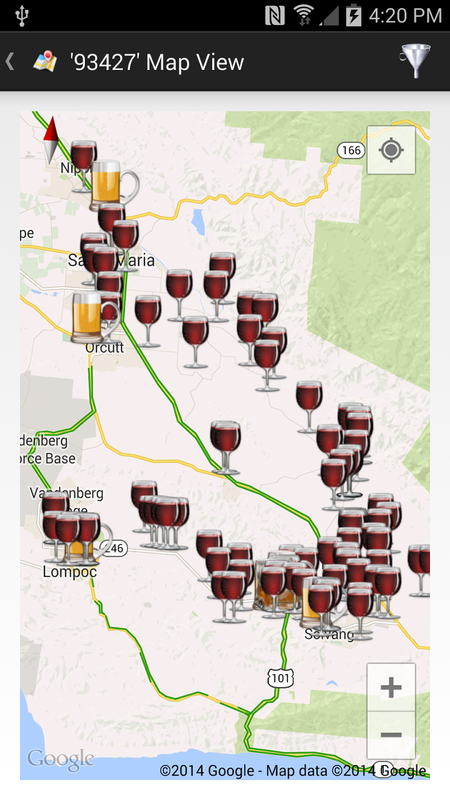 Cheers to the Santa Barbara County Vintners' Association, Shawn, #WBC14, and #winechat. I enjoyed reading your review of the SBC #winechat and the wines tasted. Thank you for sharing!